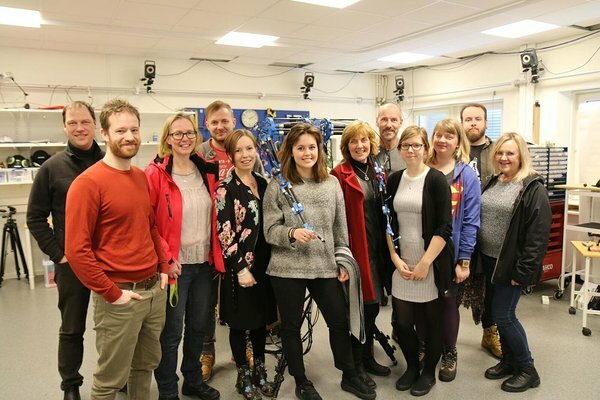 SciScills 2.0 is a collaboration project between Science Centre AHHAA, Estonia, Teknikens Hus, Sweden and the University of Iceland in developing new teacher training modules in coding. The project, which is funded by the NordPlus Horizontal programme, started in July 2017 and will finish in June 2018. 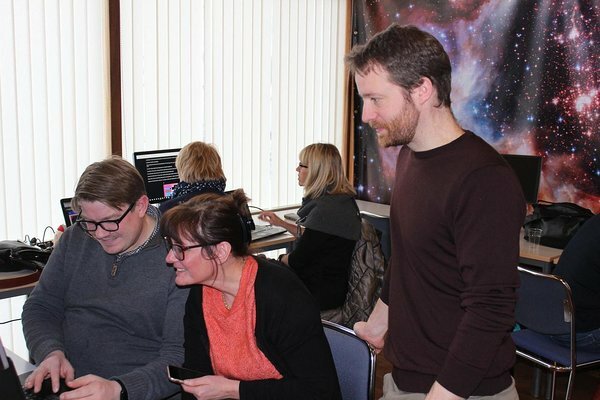 The aim of SciScills 2.0 is to develop new teacher training modules in coding and programming, where the three partners work together, exchanging knowledge, ideas and experiences. Participants in each country have by now tested different modules as a two-day pilot teacher training session. After the training and evaluation process, knowledge and lessons learnt from the pilots were shared. A second aim of the project was to use ideas from the teacher training modules to develop short programmes for school groups and the general public in the premises of the three partners. 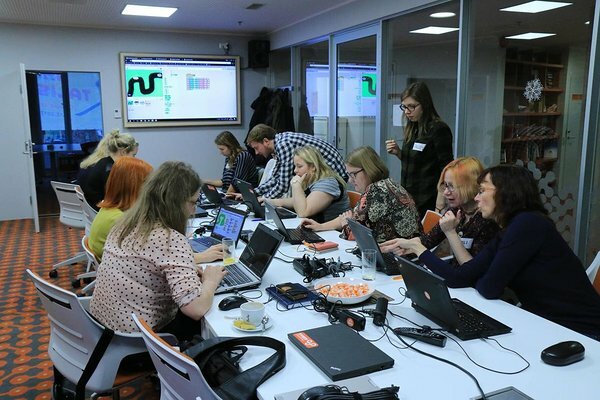 The pilot training modules included Rasberry Pi, Scratch, Digispark, analogue programming and Micro:bit, which was the one activity that all countries carried out. The participants all had experience with other tools, such as Blue-Bot, Bee-Bot, Quirkbots, Mindcraft, 3D creations, Arduino and more, all intended for pupils to develop new skills connected to computational thinking, coding and programming. The SciScills 2.0 project is divided into four main parts: two workshops for consortium members (a total of 12 participants from the three countries), one pilot teacher training session in each country with a group of teachers and finally, the production of a downloadable inspirational booklet for teachers. 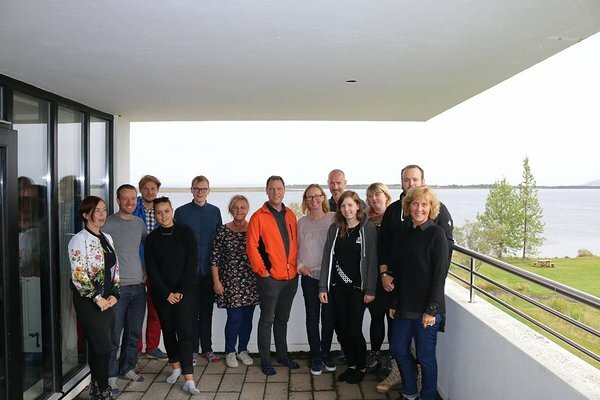 The second of the two workshop took part in Sweden earlier this month where the shared experiences and evaluations from the pilot teacher training sessions where introduced and preparation of the booklet started. New ideas on outreach activities in coding were also presented by each partner. teachers appreciated the hands-on nature of the training, working in groups and sharing experiences. participants in all countries mentioned they needed more training and opportunites to test different tools in coding and to gain more self-confidence. the teachers proposed that future training should include ideas and inspiration on how to intergrate coding in the teaching of different subjects and should include ready-make lesson plans and materials both in written as well as in video format. lastly, teachers need to be encouraged to see programming as manageable and enjoyable – to see it as a tool, not as an isolated subject. The inspirational booklet will be based on the abovementioned findings, where each participating country contributes with material from their training sessions. It will also include teachers‘ quotes about the training, photo material, ideas from the pilots about what programs and material can be used, and lessons learnt about preparing and conducting this kind of teacher trainings. The pdf booklet will be in English and it will as a start be distributed to teachers who attend programs at the premises of the three SciScills 2.0 partners. 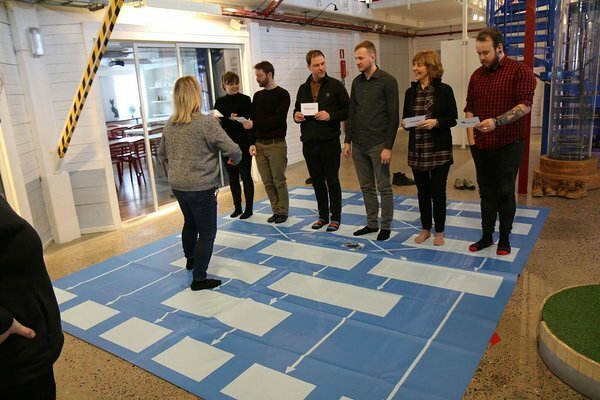 For the teachers training in Teknikens hus, a floor game was developed to explain how coding works. The participating staff of the three partner organizations saw the project as having been very beneficial for developing teacher training programmes, although preparation had been hard work. They were inspired by the immense interest of the participating teachers and their will to learn, and were convinced beyond doubt that there was immense need for the courses similar to those organized.